Each day, Annabelle, our free-spirited tapping guide, expertly creates our happy rainbow word of the day. 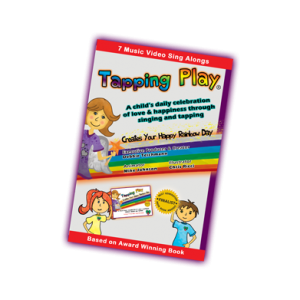 Franny and Billy proudly guide your child through the corresponding color coded tapping points, music and song words. This 2012 NEXT GENERATION INDIE BOOK AWARDS FINALIST is full colored and beautifully illustrated.